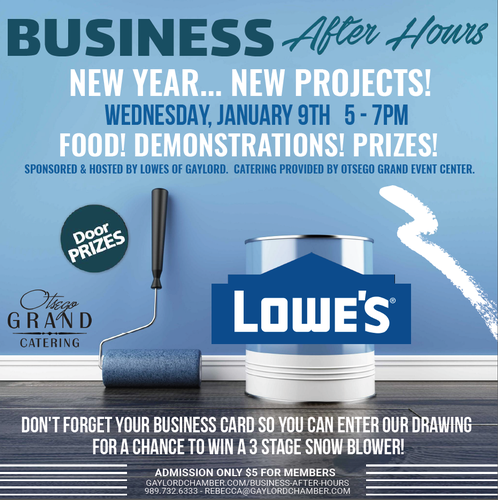 Join us for our monthly Business After Hours at Lowe's of Gaylord. This is a great opportunity to meet up with new and old colleagues! Enter for your chance to win the grand prize... a Snowblower!! You can also check out our Facebook page for another "Share to Win" post! The event will be hosted in the conference room and you will find food stations throughout the store provided by the Otsego Grand Event Center.